It's always refreshing to find great items in unexpected places. I happened to find this dress in the little girls' section at Target, while looking for a Christmas gift for my little sister. I've worn it countless times- layered over a flannel, with a printed dress, and in this case, on top of a blazer! The great part about this being from the children's section is that the price was substantially less than the vests in the Women's department. I paid $19.99, while the vests in the women's section started at $34.99. Score! I especially love this vest pair when paired with a cream blazer. I feel like when these two are together, it's the perfect definition of a "winter white." 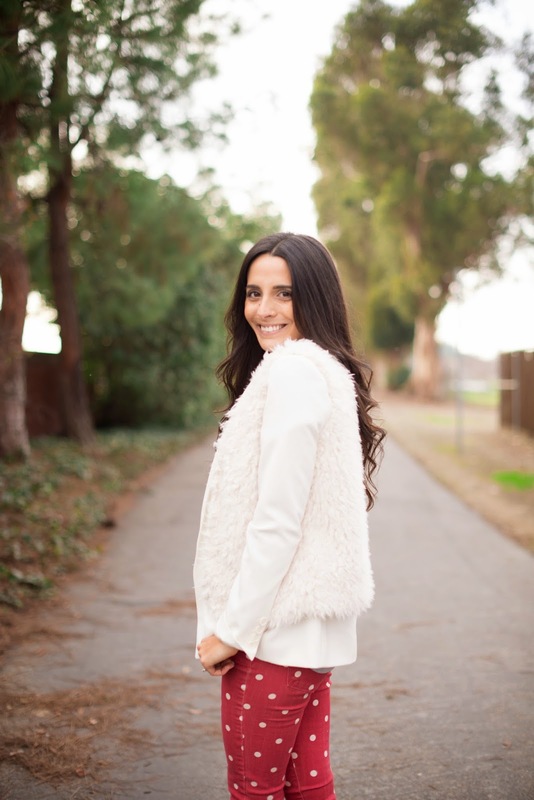 The vest adds a nice texture and a wintery feel and the blazer dressed up my look. 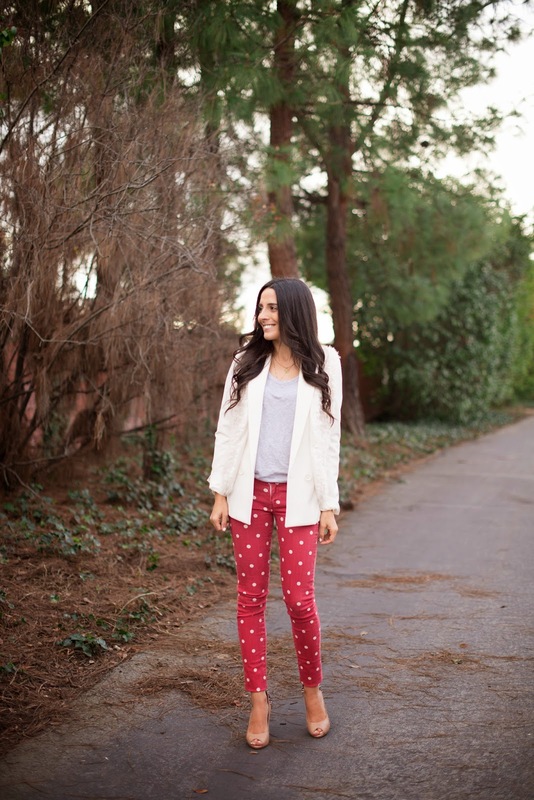 I initially had on darker jeans, but I thought these polka dot ones added a fun element. Cheers to trying new things! Speaking of new, I had a little facelift to my blog. I wanted to keep it simple, but still with a splash of color- because that's me! I hope everyone enjoys their weekend. It's supposed to be 75 tomorrow, so you better believe I'll be spending my day outdoors. Maybe even in shorts! you found paige jeans at marshalls???! so jealous! This outfit is really nice. I love the pink polka dot pants.